The rumor mill is starting to kick into full gear when it comes to Apple’s plans for the iPhone lineup in 2013. Over the weekend, it was reported that Apple would be holding an iPhone event on September 10th, and the company is widely expected to unveil not one, but two new models: the iPhone 5S and iPhone 5C. The 5S will be the successor to the flagship iPhone 5 and sport upgraded specs, while the 5C will have a plastic back and come in multiple colors. Ming-Chi Kuo of KGI Securities, an Apple analyst with a better track record than most, believes Apple will, for the first time, introduce a new home button with the 5S. For most smartphone makers, such a thing doesn’t sound far-fetched at all. But for Apple, the idea of redesigning the iPhone’s only front-facing button is a pretty big deal. Kuo has been one of the proponents of Apple putting a biometric sensor in the next iPhone for scanning fingerprints. Since his predictions regarding Apple are typically pretty safe (and by extension, often accurate), his bolder predictions, like exterior hardware modifications, are of particular interest. Kuo believes Apple will put a fingerprint sensor under the home button, which informs his opinion on how the button itself will be redesigned. There have been no reports that directly contradict his opinion, but there’s not enough supporting evidence to warrant labeling his theory as anything other than informed conjecture at this point. The home button could end up not being involved with the fingerprint sensor at all. Apple does have some interesting patents regarding biometric sensors. According to Kuo, Apple will make the home button convex instead of concave to conserve space for the sensor below, meaning the home button would slightly protrude from the iPhone’s profile. Since a surface that’s raised would be more susceptible to scratching, Kuo believes Apple will switch from a plastic button to sapphire, a type of stone that is second in hardness only to diamond. We highlighted a another report from May which said Apple will put a sapphire, capacitive home button in the iPhone 5S. That report said the fingerprint reader will be built into the home button. Japanese site Macotakara has a new report out claiming Apple will get rid of the little rectangle inside the home button with the iPhone 5S. Perhaps this would need to take place because of the fingerprint reader. “We think iPhone will continue to lead Android phones and Windows Phone by a wide margin in fingerprint sensing technology and design,” said Kuo in his report. “As such, Apple will likely be able to offer users a more secure and more intuitive way to conduct mobile payment transactions and access cloud computing services, thereby strengthening advantages of the ecosystem.” To make this fingerprint scanning possible, Apple will likely incorporate what it gained by purchasing AuthenTec, a company that specialized in biometric sensors. Coming to an Apple Store near you. While the iPhone 5S will feature newer specs and possibly the aforementioned fingerprint reader, the rumor mill is also expecting a lower-cost iPhone model, recently dubbed the iPhone 5C. 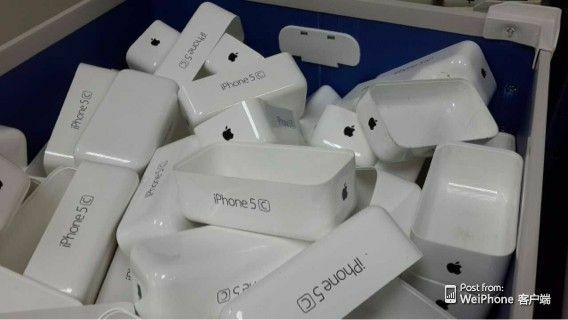 Apple packaging for the device reportedly leaked out of the supply chain, and the name on the tin was “5C.” The prevalent theory is that “c” stands for “color,” as numerous park leaks indicate Apple will offer the device in a variety of bright colors. Both Macotakara and Business Insider have separately heard that the plastic iPhone will indeed be called the 5C. The momentum behind this rumor has gotten to the point where it would be shocking if Apple didn’t call it the 5C. 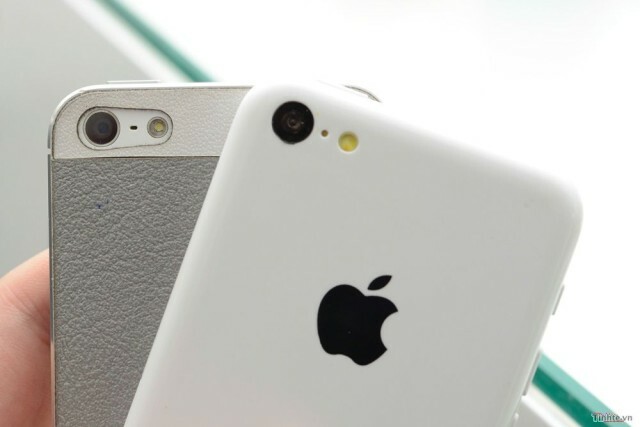 Unlike, the 5S, the 5C is expected to be mainly composed of existing iPhone 5 parts. The plastic shell would obviously differentiate, and Apple could sell the device at the cheaper $99 price point year-old models usually go for.